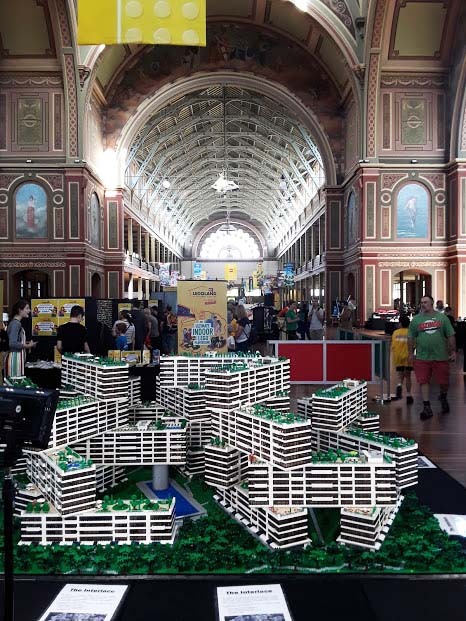 Our sixth year at Brickvention, Melbourne, Australia was probably our best. These folks have become like family to us and we always enjoy sharing our mutual love for LEGO each year. The weather was perfect for this (their) summer event, not cold or rainy and, mercifully not too hot either. That attracted one of the largest attending crowds ever, exceeding 10,000 by the time all were counted at the end of the three-day convention and public exhibition. 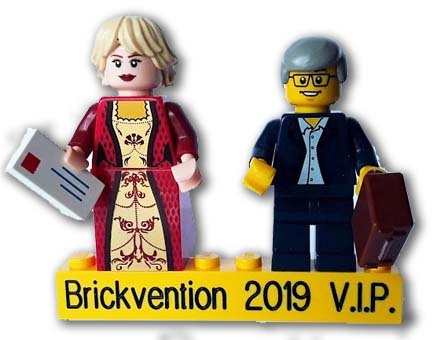 This year we were invited to present at the Friday morning opening ceremony, during the AFOL convention program of Brickvention 2019. We took the opportunity to tell the story of BrickLink (Read or Listen to MP3) and how it became a reality in 2000. The story outlines not only how BrickLink came to be, but more interestingly perhaps, how it almost did not happen at all. At the right time, in the right place it took the right man named Daniel Jezek to get it done. Annaleise Ronzan headed the committee this year and she and the volunteer group put together a terrific show. The Friday night hi-jinx entertainment and cocktail hour was a big hit again and a new wrinkle this year included a special Saturday evening field trip to the Legoland Discovery Centre in nearby Chadstone. Of course plenty of MOCs and exhibits were on display over the three days. 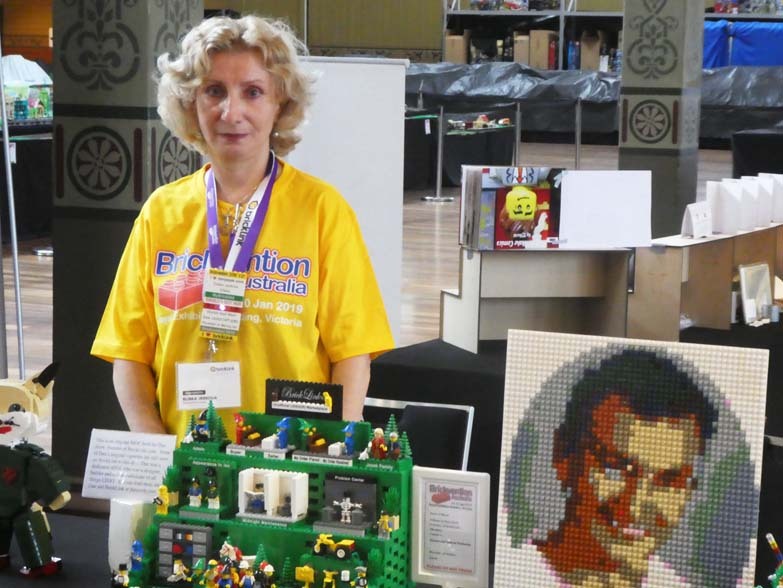 This 13th annual LEGO convention and exhibition, January 18-20, was once again sponsored by the local Melbourne LEGO users group – MUG – and we were especially honored again to be among Brickvention's official "supporters" (sponsors), in the name of danjezek.com. 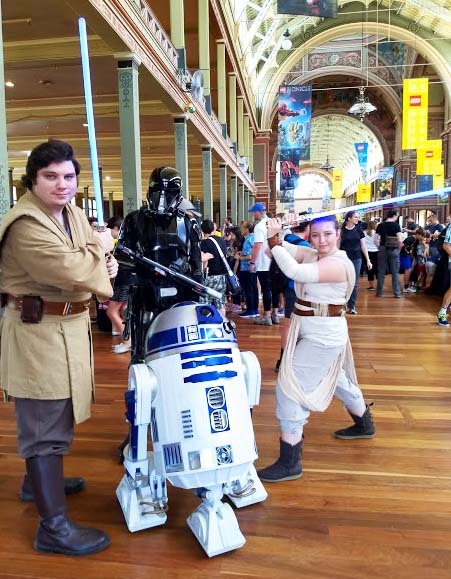 The venue remained the sprawling and historic (circa 1880) Royal Exhibition Building in the heart of one of Australia’s most inviting and liveable cities. 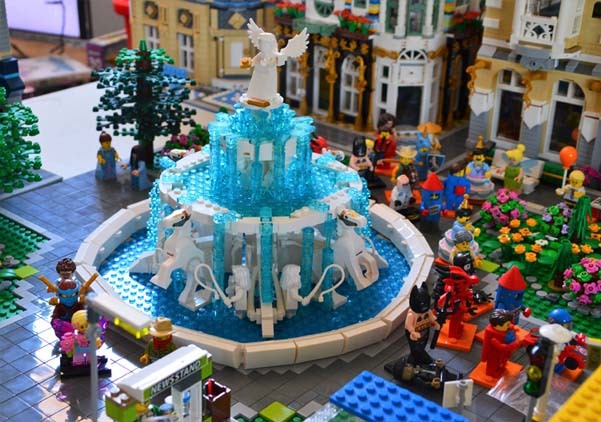 If you love LEGO and fun and hospitality as well, this is a wonderful event that’s never too far away to consider a visit during our winter (their summer). Post Brickvention, we spent some time with our good friends Helen and Alec Mead, celebrating his birthday (with his grudging indulgence ;=)). Then, a second visit to Tasmania for a few days brought us to stop by Martin and Frances Schroeters’ ranch in Wattle Hill, not far from Hobart. We were able to see Frances' LEGO lab where she’s busy producing MOCs of her own since first joining BrickLink as a legacy member back in early 2001. 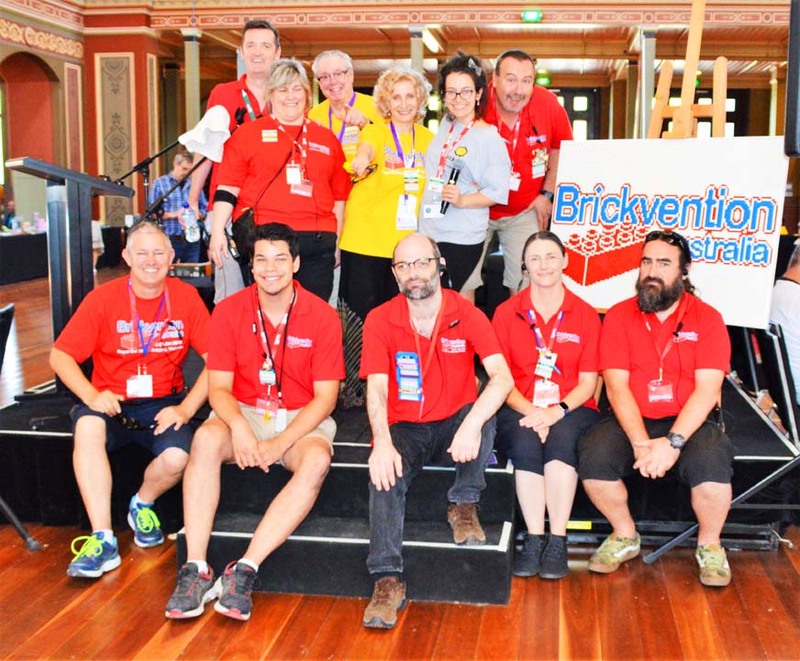 Sponsors and organizers of Brickvention 2019. Back row (L to R) Michael Plowright, Andrea Lansley, Larry Hawthorne, Eliska Jezkova, Annaleise Ronzan, Cris Ruhr; Front row: Michael Peebles, Chris Hill, Travis Matheson, Nicole McDonald, Jason Cichon. 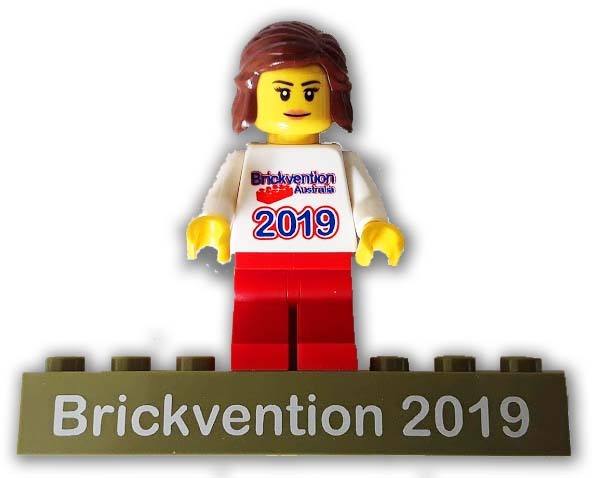 Annaleise was this year's president of the committee and is here wearing a BrickLink T-shirt in honor of the occasion. Two delivery trucks modeled in LEGO bricks. Their AFOL designer and builder proudly displayed BrickLink gear we distributed as an acknowledgement of the source of his needed bricks. 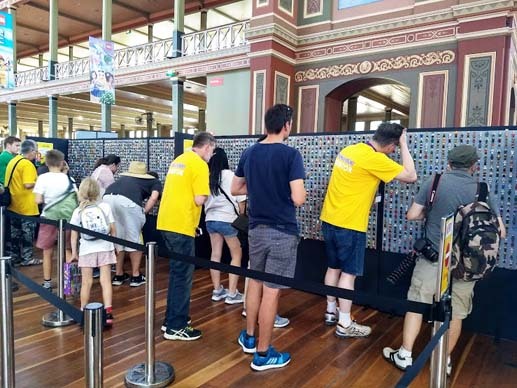 Plenty of attention was paid to the Minifigure Exchange walls where visitors and AFOLs were invited to swap out their offering for someone's else's treasured minifig. This Scooby Doo Village had its own amusement park and roller coaster that really worked. 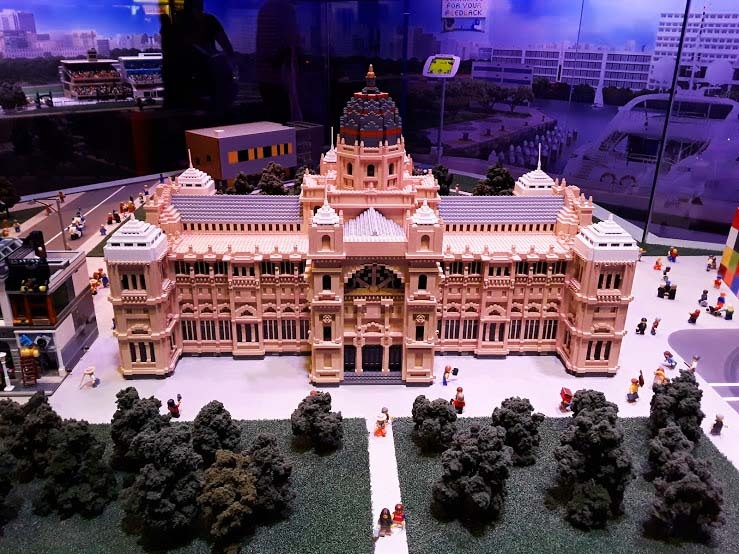 A Saturday evening field trip to visit the Discovery Centre in nearby Chadstone turned up this LEGO model of the Royal Exhibition Building, Carlton Gardens, where the Brickvention annualy takes place. 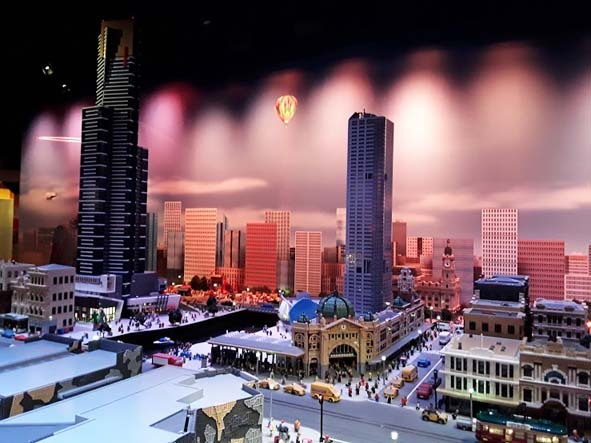 This replica of the Flinders Street Railway station, in the context of Melbourne all around it, is on display at the Legoland Discovery Centre. 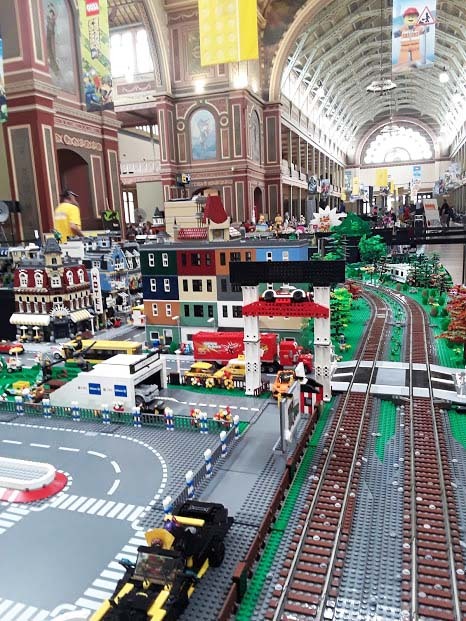 This railroad "community" was the collaborative result of a number of LEGO rail enthusiasts that was well-recieved by visitors to Brickvention. 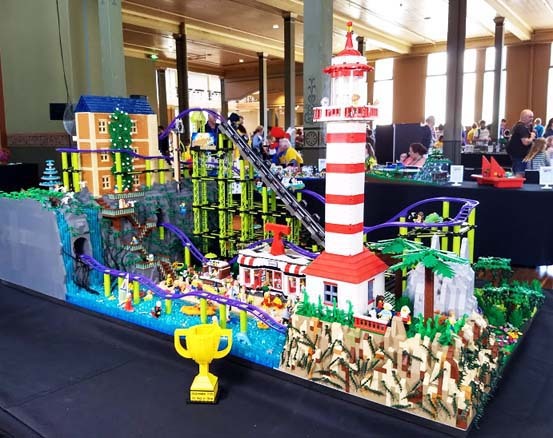 Josh and John Hanlon of Beyond the Brick attended this year and came away with a wide variety of video reports (32 videos) by which to document Brickvention 2019. 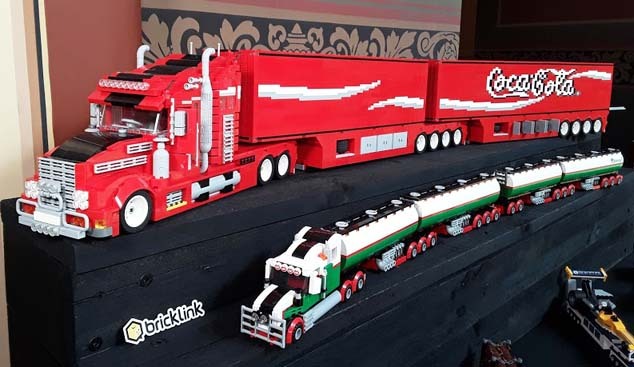 Eliska and the story of how Dan Jezek built BrickLink is one of them. Take a look. At our display table, Eliska exhibits here BrickLink front page MOC and other icons Dan created that are still found on the website. The mosaic of Dan was a gift from Diane Winbanks and her daughter Lauren who built the portrait from their own design. The Friday night cocktail gathering has become a traditional part of Brickvention. 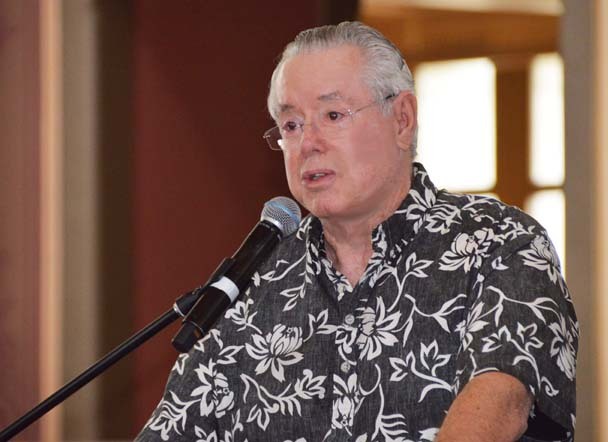 Organizers, supporters, builders and designers let their hair down and participate in a humorous program of hi-jinx and comedy. The custom is to dress as outlandish as possible and make the most out of a raucus evening of laughter and hors d'ouvres. Eliska joins with Emma Robinson who dons appropriate garb for an evening among the bricks. 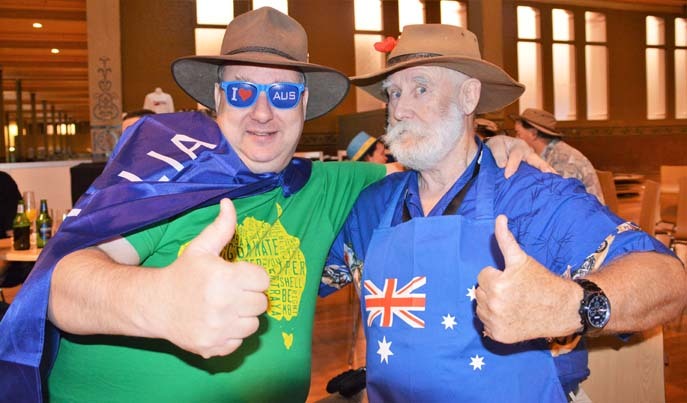 Below: Alec Mead (r) and mysteriously dressed Aussie cohort cut it up at the Saturday evening soiree. 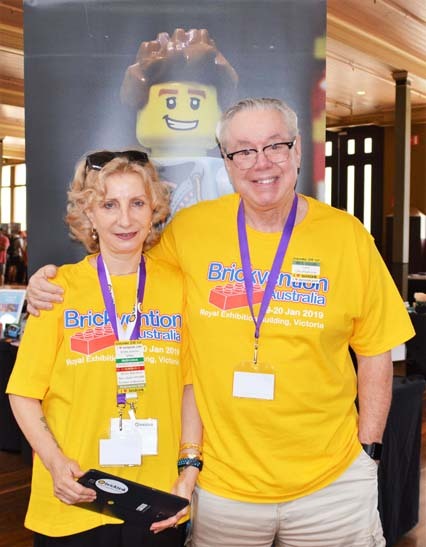 We had a great time at Brickvention 2019. 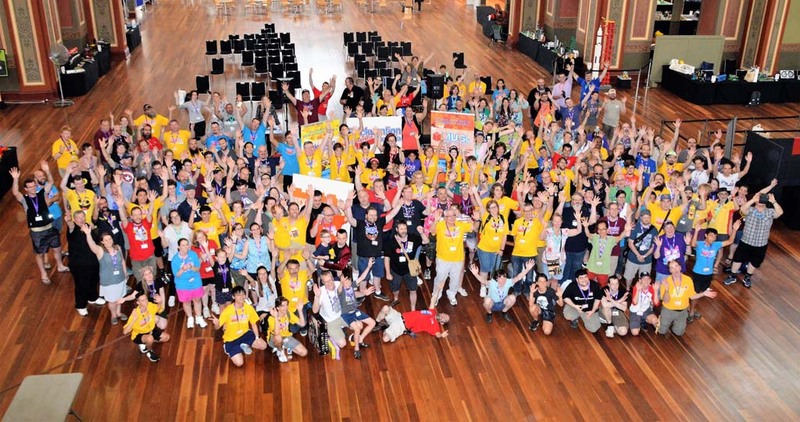 See you again next year, Melbourne! Note: Thanks to Alec Mead, the "Rock Doc" who in addition to being a good friend is also a great photographer. Appreciate the loan of some of his great photos. And a Tip of the Hat to Jay's Brick Blog. We borrowed a few IDs from Jay to fill in a few blanks. Thanks, Jay. 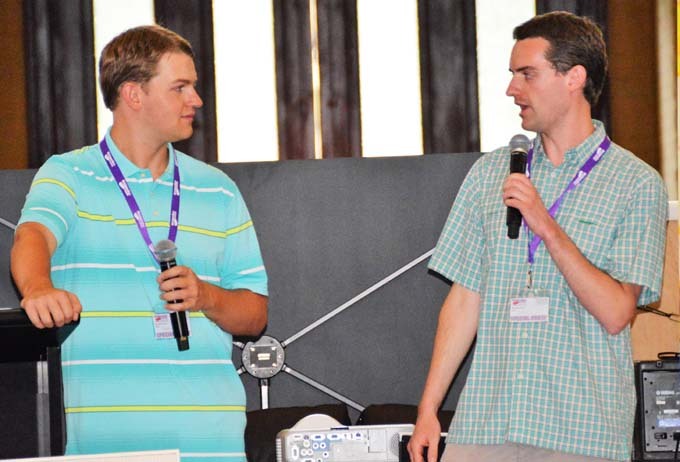 We were honored to help kick off Brickvention 2019 as guest speakers. 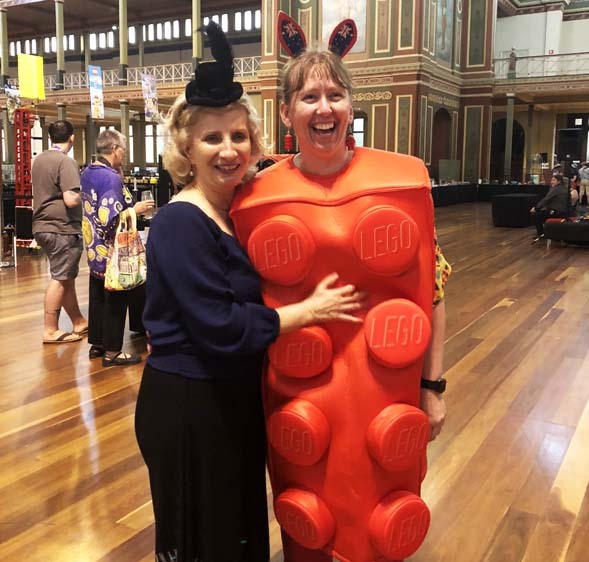 Eliska and I told the story of BrickLink and how Dan Jezek's failed job search provided the spark needed to launch the world's most successful online LEGO marketplace. 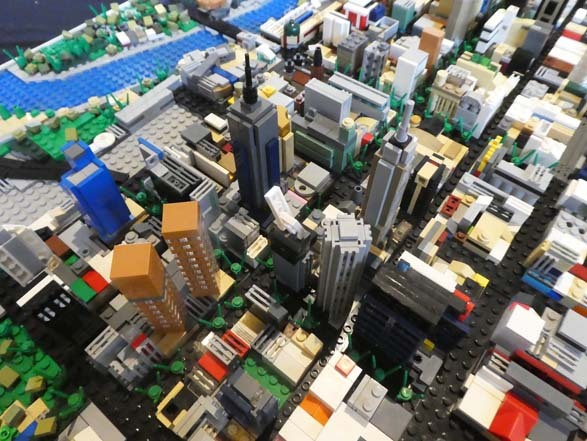 Melbourne is host city again for the 2019 Brickvention and in honor of the venue, one AFOL builder, Samuel Mollema, fashioned an overview of the city's Central Business District. Close attention was paid to both detail and scale (1:2200) in this 40,000 brick-created map of the area. 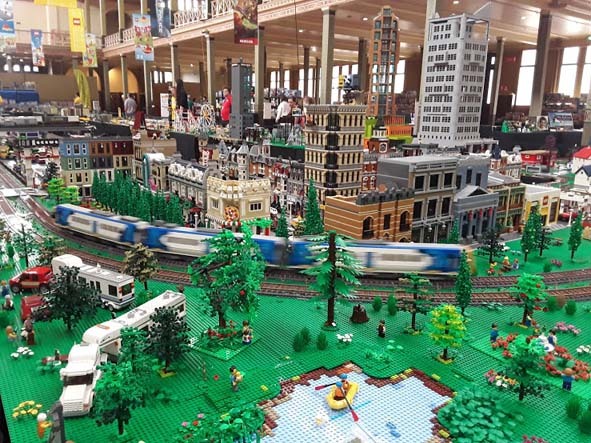 Trains, planes and automobiles are in abundance as thematic material for AFOL builders at Brickvention. 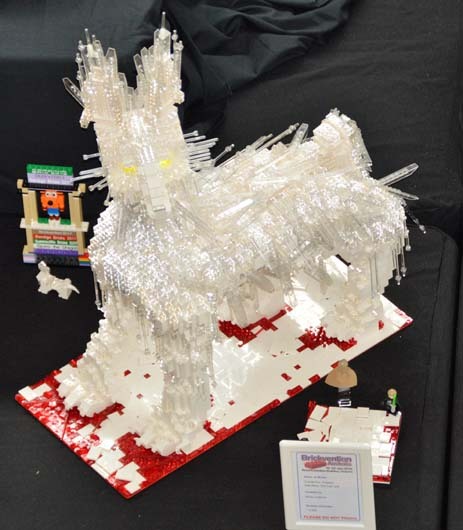 The Interlace, depicted in LEGO brick above, was built in Singapore (2007-2013). The 1040 apartment complex was named "Building of the Year" in 2015. 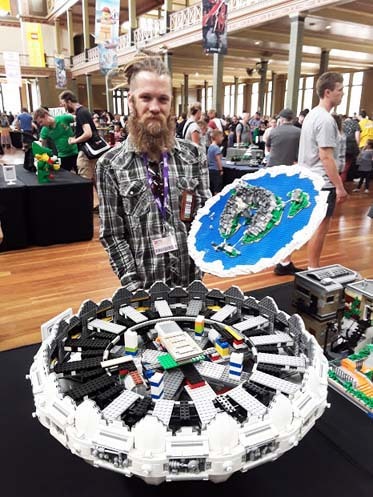 This model took 95,000 pieces over 64 LEGO baseplates and 10 months to build by Graham Draper. A Crystal Fox by Runa Lindblom, illuminated eyes and all. Quite a design accomplishment. 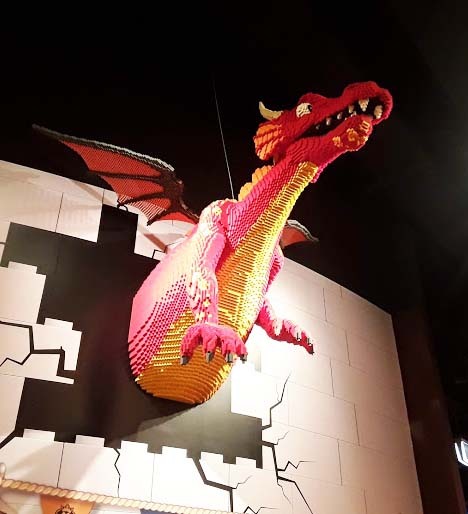 A visit to the Legoland Discovery Centre begins with a welcoming by this LEGO inspired dragon. 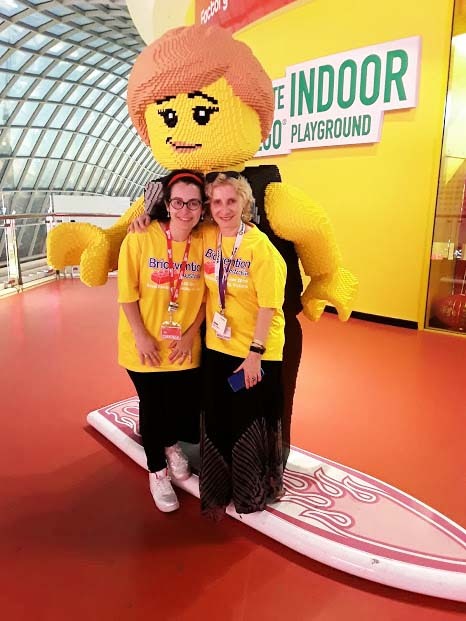 Eliska and Annie at an evening visit to Legoland Discovery Centre. 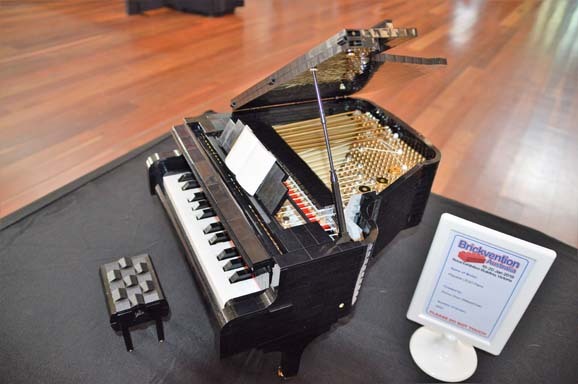 A playable concert piano crafted by Donny Chen. 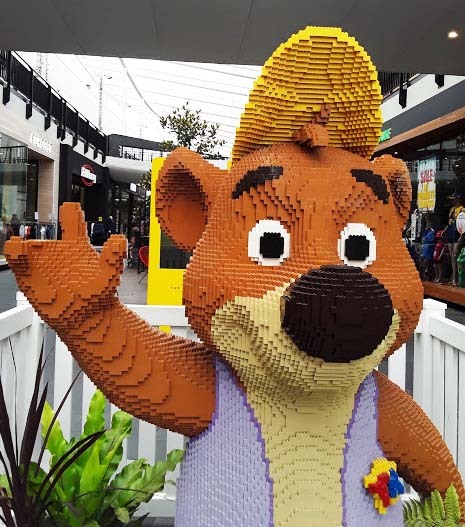 A welcoming Yogi Bear from LEGO seen at Melbourne's Docklands shopping district. 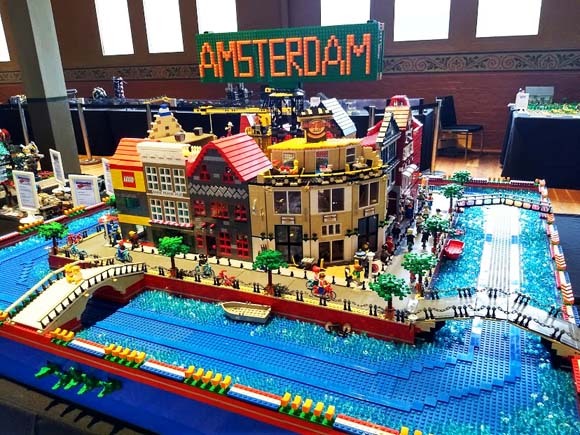 Amsterdam's Canal Street in a LEGO slice of life. Not to close with this real-looking Australian Black Snake. Here's a tip: every snake species in Australia is venomous. Something to remember when in the Outback. A lot of attention and skill went into this angel-crowned creation. Thematic characters were again hired to roam among the crowd to emphasize the exhibits themselves and take plenty of photos with the kids. Ben Andrews shows off his Terra Astronavis at Brickvention. 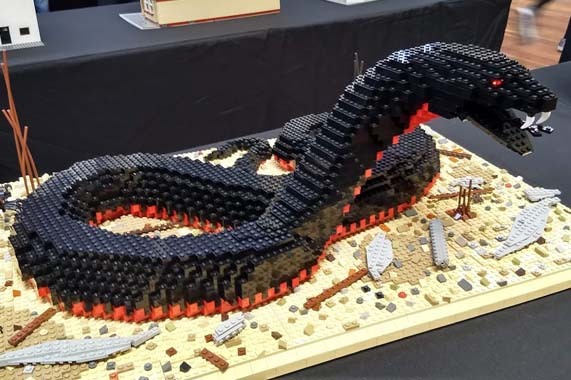 The impressive MOC was both hard work and inspired creativity for the AFOL designer/builder. 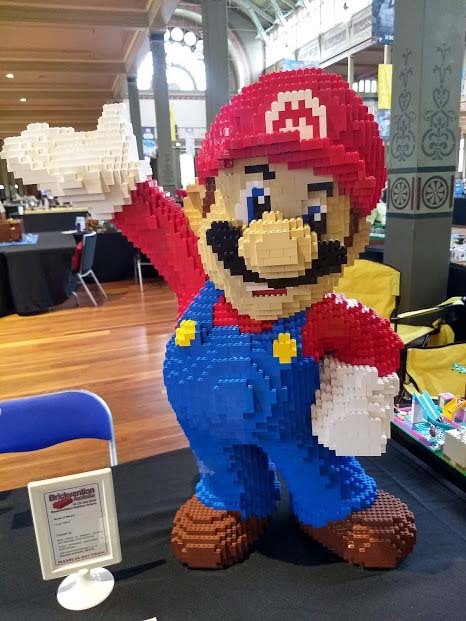 Super Mario is a super MOC. 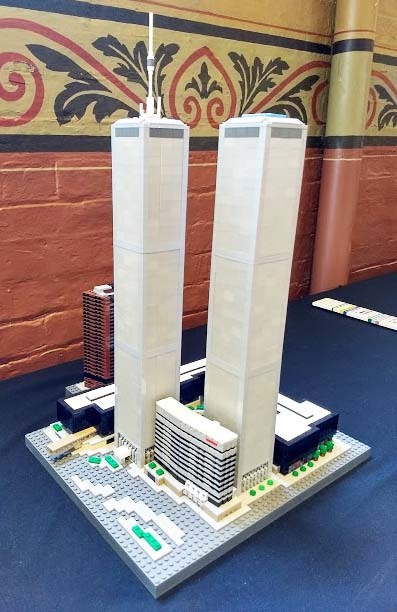 This MOC of the World Trade Center was the work of Lauren Winbanks. Lauren has autism and is still a gifted LEGO designer and builder, as this latest creation demonstrates. Badges? We don' need no stinking badges! 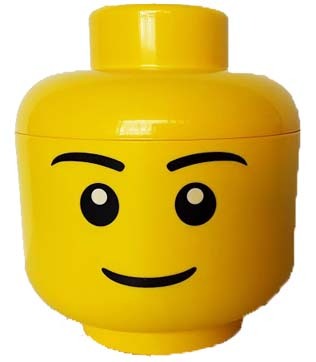 Well, yes you do, especially if they are BrickLink badges. We passed out quite a few of them along with other BrickLink gear, including stickers and magnets at this year's event.